The Bramidan 4-0LC is suitable for companies where the waste sources are located in different areas and where mini containers can be used for internal transport. The machine can be placed in a central location and all users can empty the containers using the lift system, which is very easy to operate. The baler can be filled manually if required. 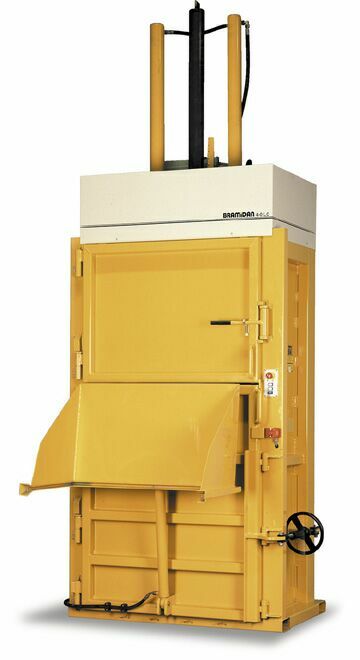 If you would like to know more about the Bramidan 4-0LC or any of our range of Vertical Balers please contact us.